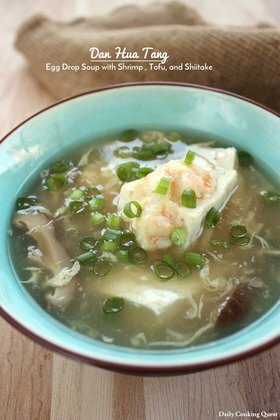 This egg drop soup is commonly prepared for special occasions and is especially popular during Chinese New Year. For those who still consume shark fin (please don’t though), this is where shark fins are added to make shark fin soup. When my Grandma was still around, she would add a whole shot of X.O. cognac in the finished soup instead of Shaoxing, so if you have a bottle around and have no idea when you are going to finish it, give it a try. 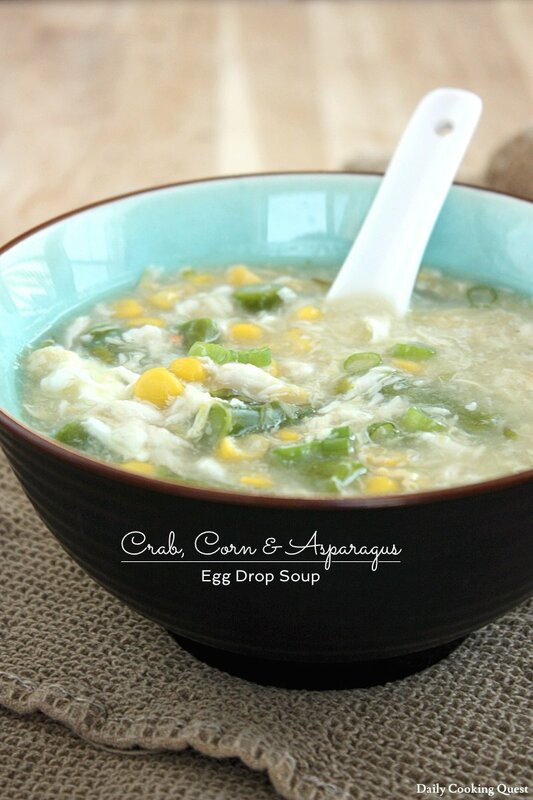 Boil together chicken stock, ginger, crab meat, asparagus, and corn. Lower heat, cover, and simmer for 15 minutes. Return to a boil, add corn starch solution to thicken the soup, and continue cooking for 3 minutes. Add Shaoxing, sesame oil, salt, and ground pepper. Mix well and adjust the amount of salt as needed. 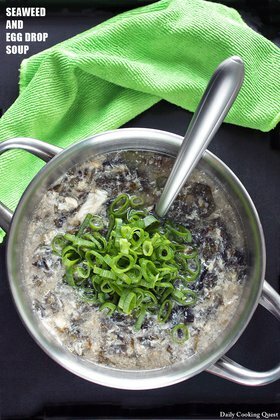 Turn off heat, then pour the eggs in a thin stream while stirring in a clockwise direction. 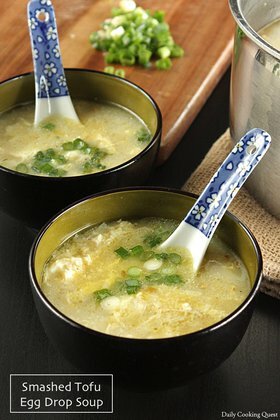 Serve hot in soup bowls with chopped scallions and black vinegar. 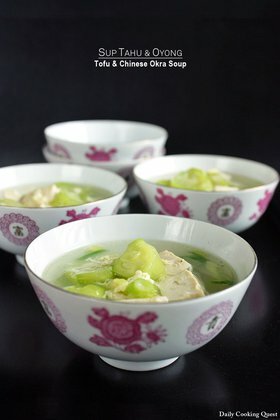 It was my first attempt at this kind of soup and it tastes really good. I had to swap crab for surimi though, since I cannot afford crab at the moment. I also used less corn (300g in stead of 500 because the can I had came in that amount). Thanks for the recipe, would definitely recommend!